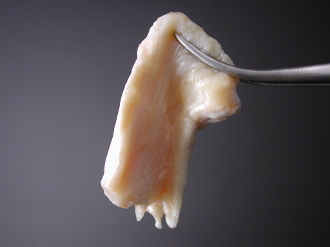 Tissue Processing: Patellar tendon is aseptically dissected from the knee joint. Tendon tissue slices are either flash frozen in liquid nitrogen and stored at -80oC or preserved with RNALater solution to protect RNA/DNA and then stored at -80oC. Frozen samples are shipped overnight with dry ice. Each sample is approximately 1g.